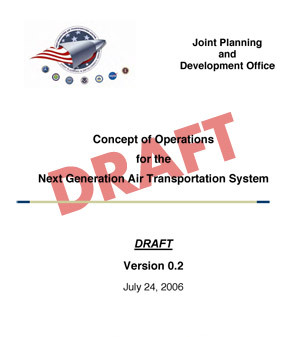 This week, the Joint Planning and Development Office (JPDO), a multi-agency planning group that includes the FAA, NASA, the White House Science and Technology Office, and the Departments of Defense, Transportation, Homeland Security, and Commerce released a 105-page draft document called "Concept of Operations for the Next Generation Air Transportation System" that outlines their "common vision" of how air traffic control, airports, and airspace will be operated within 20 years. "Let's be blunt and call it what it is: the Next Generation AIRLINE Transportation System. This largely NASA/FAA vision of the future leaves general aviation out in the cold. In this nightmare of the future, GA would lose access to airspace, experience increased security requirements, and operate from fewer airports, even if we equipped with all the expensive technologies envisioned." Airspace would be "flexible," with boundaries shifting in real time for weather, traffic, defense, and security reasons. Airspace would be restricted for "higher performance operations" when necessary to "manage demand." 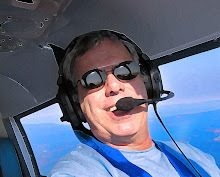 Even VFR aircraft would be required to equip with expensive avionics to provide information for the "four dimensional trajectory (4DT) management" system, which would require every aircraft to supply a flight plan and continuously update current location and altitude, speed, direction and altitude vectors, and arrival time, even if not participating in the IFR environment. AOPA says that there are 600,000 GA pilots flying 210,000 GA aircraft from more than 5,400 public-use airports — the majority of those airports used exclusively by general aviation. 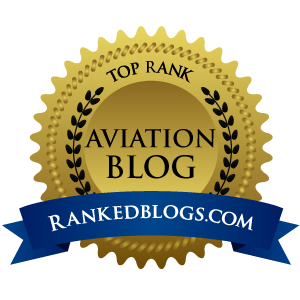 GA pilots fly more than 28 million hours a year (90% under VFR conditions), compared to 19 million hours for the airlines. You can download a copy of the JPDO disaster here, if you have the stomach to read it.